Silicon is widely used in a number of industries but primarily in solar cells and in semiconductor manufacture, with growing applications in jewellery and entertainment goods. In the majority of applications the source material is in the form of wafers which are typically 0.2-1.5mm (0.008”–0.06”) thick and 100-300mm (4”-12”) diameter. This application insight focuses specifically on the cutting of patterned wafer, single crystal, as well as polycrystalline silicon(200µm). 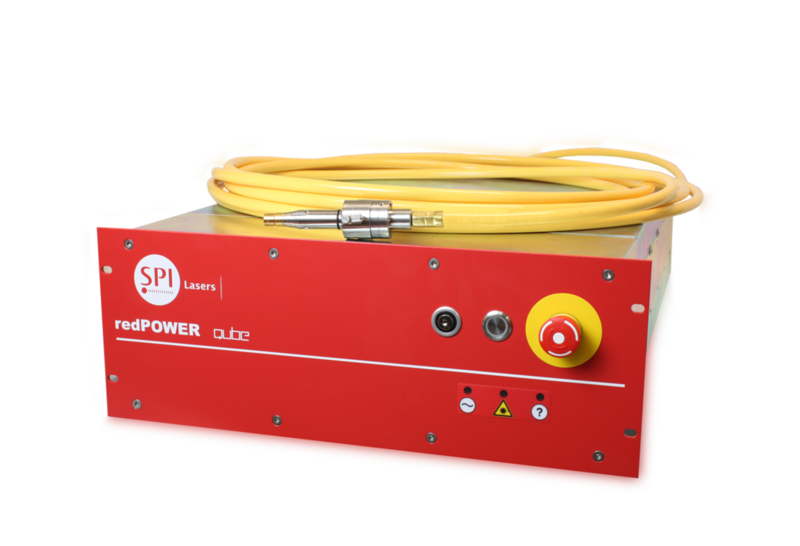 Looking at both Pulsed and CW Lasers, assessing their key competencies with silicon and the competitive edge Fiber Lasers have over all other existing silicon cutting technologies. Traditionally silicon wafers have been cut with diamond saws, occasionally using a scribe and break process, which have the limitation that they can only cut straight lines and suffer from edge chipping, and frequency doubled vanadate Lasers which are both slow and expensive to operate, as is the microjet process. Recent developments within our Apps Labs have developed a Fiber Laser cutting process that can give extremely high cut quality at fast cutting speeds. Cutting speeds of up to 10m/min can be achieved in polycrystalline silicon of 200µm (0.008”) thickness with a 200W CW Fiber Laser yielding extremely smooth cut edges which exhibit no signs of cracking. Kerf widths of 40µm can be achieved which are very parallel sided and exhibit no signs of edge chipping. Even at thicknesses of 1.2mm (0.005”) cutting speeds in excess of 1m/min can be achieved, which is competitive with all other silicon cutting existing technologies. Figure 2: 250µm Silicon Ribbon Cut with 50W redPOWER CW SPI Fiber Laser at 2.5m/min. Figure 3: Patterned 0.8mm (0.03”) wafer cut at 3.5m/min with 200W redPOWER CW SPI Fiber Laser. Even patterned wafers can be cut showing the exceptional top edge quality exhibiting no signs of any cracks or chips. This novel cutting process can cut shapes as well as just straight lines which is a limitation of current diamond saw techniques. Our Pulsed Fiber Laser can also be effectively used to cut or scribe silicon with the 20W redENERGY Fiber Laser being capable of cutting at 200mm/min using a 65 kHz repetition rate and a pulse length of 75nsec. This yields a characteristic cut edge with nodules of re-solidified silicon. Using the Pulsed Laser, blind slots or grooves in silicon can readily be cut. We are currently working with various system integrators to commercialise these cutting processes. Figure 4: Sample cut with 20W: 100 µm thick silicon, Multipass, effective speed of 250mm/min; 25 kHz repetition rate, 200ns pulse length. We have Applications Labs in the USA, China and the UK. These facilities are used to create proof of principle samples and application notes for potential users of our technology. This work is carried out free of charge. Once samples have been sent to the industrial user a decision is typically taken to take advantage of our “Try Before You Buy” program whereby a suitable Laser is sent to the user for a 30 day trial.